The Bay of Islands has traditionally been the main focus of New Zealand yacht charters. 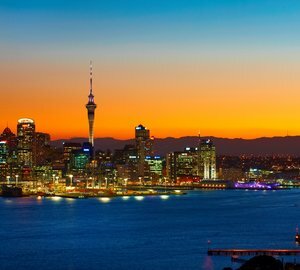 Since the hosting of the America's Cup by New Zealand, however, Auckland has increasingly become recognized as a prominent yachting and yacht charter location. Auckland’s Viaduct Basin in the heart of the city was developed as a superyacht marina for the America’s Cup that New Zealand hosted in 1995 and 2003. 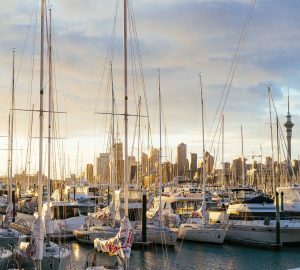 Auckland’s Marina was further developed in time for the 2011 Rugby World Cup with the addition of the Wynyard quarter, complete with an events centre, marine service and refit companies and yards, restaurants and bars as well as superyacht berths. 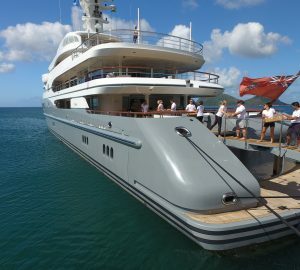 The new waterfront development was built not only to service the influx of tourists visiting New Zealand for the World Cup but also because of the growth in the superyacht industry in Australasia. The 'City of Sails', as Auckland is fondly known, sits against the backdrop of the sparkling Waitemata harbor. Auckland is the base for sailing the magnificent Hauraki Gulf and Coromandel Peninsular. 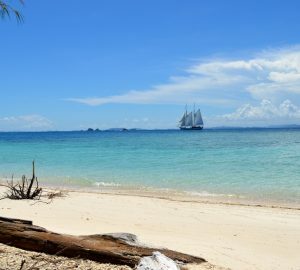 Between the two, there are 1500 miles of coastline to explore on a sailing charter. The Hauraki Gulf provides excellent year round sailing conditions with comfortable temperatures and average wind strengths of 10-25 knots. Peppered with over 80 islands within short sailing distance, the Hauraki Gulf is a palate of gorgeous scenery. The landscape of each island is idyllic and refreshingly different. With scarlet Pohutukawa flowers set against white sands, charming villages, vineyards and lush dark forests, the Hauraki Gulf has plenty on offer for yacht charters. 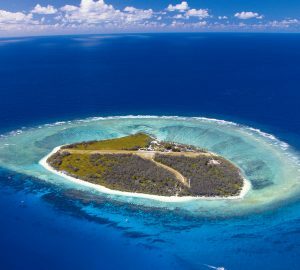 Some of the most visited islands on sailing charters include Rangitoto, Kawau, Waiheke, Oneroa, Pakatoa and New Zealand's largest offshore island - the Great Barrier Island. Rangitoto Island - home to New Zealand's youngest volcano and the closest island to Auckland city. It has an amazing volcanic landscape covered by moss, plants and trees including the largest Pohutukawa forest in the world. It has been a Recreation Reserve since 1890. The hike to the summit rewards you with stunning views of the Hauraki Golf. Kawau Island - scattered with native walking tracks and home to the historic Mansion House. Kawau Island has many safe anchorages. Waiheke Island - a gorgeous blend of local craft shops, cafes, restaurants and award winning wineries. The coast is blessed with golden sandy beaches and sheltered anchorages. Great Barrier Island - The natural harbor is comprised of many sheltered bays and inlets. 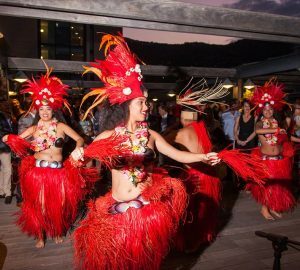 The island is racked in historical sites such as the whaling station, kauri dams, gold and copper mines and ancient shipwrecks. The golden sandy beaches and native bush walking tracks make it an outdoor paradise. Great Barrier Island is a popular snorkeling, diving and fishing retreat. The Coromandel too, features many enchanting beaches and bays. 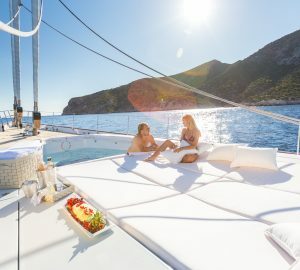 On a sailing charter or a powerboat you'll find limitless secluded harbours and uninhabited islands to enjoy. The Hauraki Gulf and Coromandel area provide a beauty and diversity which is difficult to match. This superb sailing charter location exceeds expectations. The types of yacht charter available for New Zealand yacht holiday in Auckland & Hauraki Gulf include motor, sailing, diving charter, skippered, crewed yachts, catamaran, power boat, sailboat, luxury yachts, and superyacht charters. Marlborough Sounds Yacht Charter - Those who want to what to find themselves in one of the most stunningly beautiful yacht charter areas in the world should seriously consider a charter in New Zealand's Marlborough Sounds. Fiordland Yacht Charter - A Fiordland yacht charter vacation in New Zealand will be an experience unlike any other. It is a certainty that you will be awe inspired and deeply affected. 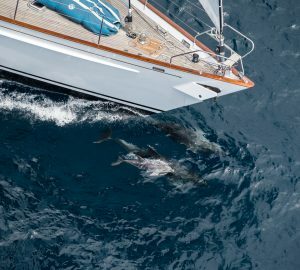 Below is a selection of New Zealand luxury crewed charter yachts available - there are even more here or contact us for additional information here. Auckland marina Auckland & Hauraki Gulf Yacht Charter The Bay of Islands has traditionally been the main focus of New Zealand yacht charterers. 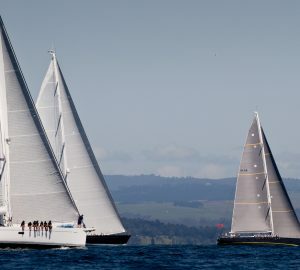 Since the hosting of the America's Cup by New Zealand in 1995 and 2003, however, Auckland has increasingly become recognized as a prominent yachting and yacht charter location. The 'City of Sail', as Auckland is fondly known, sits against the backdrop of the sparkling Waitemata harbor. In close proximity to Auckland & Hauraki Gulf are a number of exciting sailing destination.